There’s a certain dignity that comes with a career in the medical field. For many, it’s as simple as knowing they’ve dedicated their lives to helping other people. While personal satisfaction is important, so is a decent paycheck. Luckily, the medical profession is expanding in several areas, offering competitive salaries and plenty of job openings. Needless to say, becoming an ultrasound technician is an increasingly popular option. Also known as a medical sonograhpers, ultrasound technicians enjoy a great salary and work in a fast paced work environment. Training programs can last anywhere from 12 months to four years. If you’re looking for a career you can brag about, this might be a good option, but there are a few things to consider. The best place to look for a good education would be a college or university. There are both two and four-year programs that offer associate and bachelor’s degree programs. While one-year certificates are also available, those programs are typically intended for professionals already working in the medical industry in a nursing or medical assisting capacity. Most employers will want to see a degree from an accredited university, two-year college or medical training institution. Courses are in-depth and teach the clinical process of being an ultrasound technician as well as the medical terminology needed to perform duties effectively. There may also be state or federal certification hospitals will require employees to obtain. Those in the ultrasound business are earning a great salary. The median wage is around $64,000 per year. The outlook for this profession makes it even more appealing than the salary. According to the Bureau of Labor Statistics, employment opportunities will grow by 44 percent through 2020, much faster than the average for all occupations. Those willing to go through the training needed can expect to enter a fulfilling career with an excellent starting salary. Ultrasound imaging technology is continuing to advance and medical professionals are using ultrasound as an alternative to more costly and invasive procedures. Another factor in the occupation growth is attributed to the aging baby-boom population. 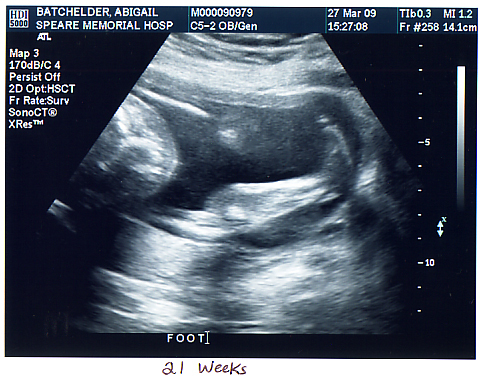 Ultrasounds are best known for taking images of fetuses and babies in the womb. Today however, the technology is used for so much more. High frequency sound waves are used to produce images of the inside of patients’ bodies. Ultrasound technicians prepare patients for procedures and make sure all imaging equipment is maintained and working properly. Technicians are also responsible for operating the equipment and analyzing the images for quality and proper coverage, which includes looking for abnormalities. The are certain traits that help make people more effective ultrasound technicians. Luckily, not all these traits have to be inherent and can be developed with some education and self discipline. To be successful in this profession, it helps to be detail oriented. Using sensitive equipment requires precise procedures and a good eye for abnormalities or potential health issues that should be brought to the attention of a doctor. Having people skills is another crucial aspect. Ultrasound technicians work directly with patients, some of whom are experiencing mental distress and physical pain. The ability to comfort and communicate with patients will be an asset to anyone looking to become an ultrasound technician. Stamina is another crucial quality. Technicians spend most of their shift on their feet, particularly those who work in hospitals. Check out the following video from George Washington University to learn more about ultrasound careers…and don’t forget to check back. We’ll be publishing part two soon. – Will Online Ultrasound Technician Schools Prepare You For a New Career? – Looking for Ultrasound Technician Schools in California?